For over a decade, JBL SR Series subwoofers have represented the best performance, highest quality and most advanced driver technology available. The SRX700 Series continues that tradition and moves the bar even higher. The advanced technology of SRX700 Series subwoofers deliver the power and performance that you would expect from the highest quality professional rig. Below, please find key technical specifications for the JBL SRX718S subwoofer. 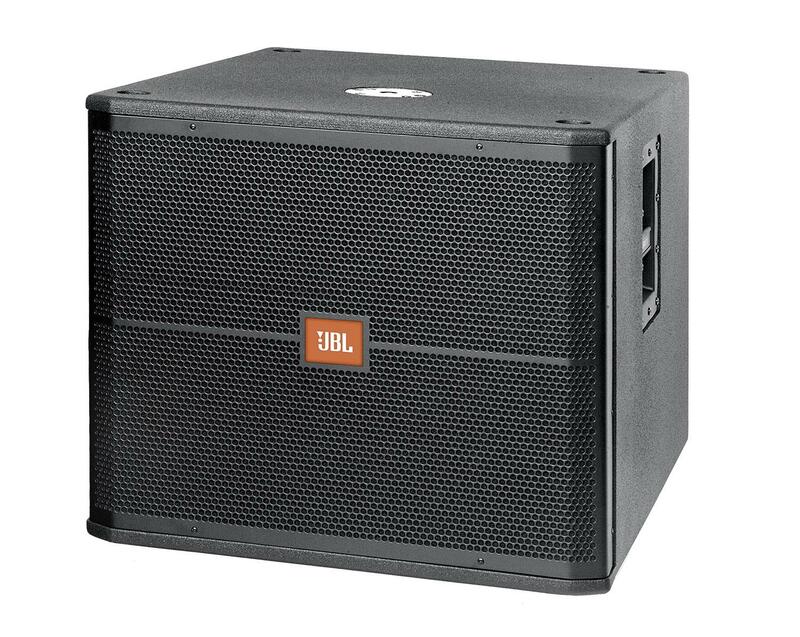 Please download the JBL spec sheet using the link to the right to learn more about this highly acclaimed passive subwoofer. We currently have twelve (12) subs available for rental in the Chicagoland area. For optimum performance, we power all of our subwoofers with Crown i-TechHD Series power amps programmed with the appropriate JBL factory tunings (crossover filters, parametric EQ and limiter settings). Crown i-TechHD series power amps effortlessly generate that low end punch you've been looking for but can't seem to find in most self powered subs. Hearing (or should we say feeing) is believing! Call us today to schedule an on site audition.